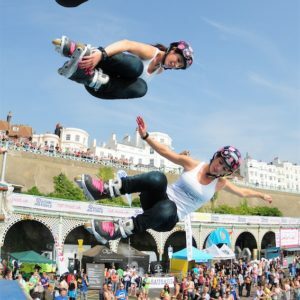 Costs for this Female Stunt Skater start from GBP £550 all depending on what is required for her to do. Recognized as one of the best in the worlds, this Female Stunt Skater has a few tricks in her skates that even some men can not even match. 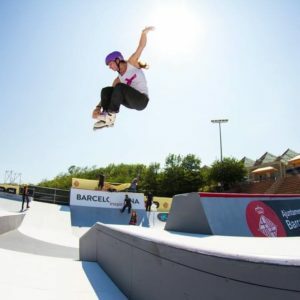 A competitor, performer and an inline stunt skater, there is no skate park in this world too difficult that this female inline stunt skater can’t stamp her mark on. Her incredible talent and skill has seen her travel the world and be involved in a number of different events, marketing campaigns, promotions and street guerrilla marketing campaigns.